This is it! Tonight we are having first monthly podcast of 2012! You know the drill people, join us on Teamspeak and have your mics at the ready for discussions galore. Steam is arguably the most popular, commonly used PC gaming program out there. It took its dominion one step further when it released Portal 2 with Steamworks, a system that brought Steam compatibility to PS3. I have long wondered when they would take the first step into the mobile market. Although its function is limited, the release of the Steam app for Android and iOS is a significant milestone for the platform. Currently, gamers with beta access can message their friends and make purchases from the Steam market for their PCs. The app does far less than it could, but I believe this is the first step to creating a viable, cohesive, platform-agnostic app market alternative. Amazon has already tried its hand at this, having its own marketplace on the Android platform, but Steam's potential seems greater. Not only could a Steam app marketplace employ the interesting sales tactics of its PC counterparts (giant sales, customer engagement, connectivity, etc. ), but gamers have already invested in the platform. Valve has infrastructure and experience for running a games platform, including dealing with developers by giving them tool, making them a serious contender. By allowing gamers to engage with their friends through games on potentially different platforms, Steam also has the ability to create an SDK allowing for easier, more secure multiplayer gaming. Think Zynga, but less slimy. And who do we have to thank for this? What brilliant soul thought to bring this idea to market? 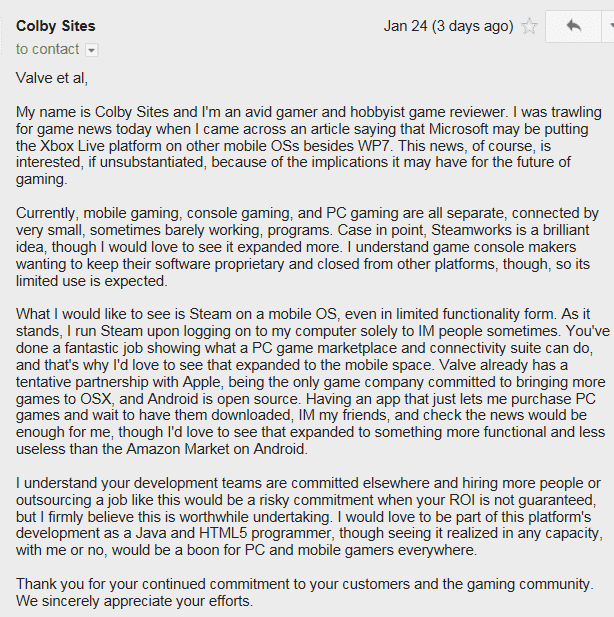 Our own staff writer Colby Sites sent this email to Valve just days before the announcement of this platform. 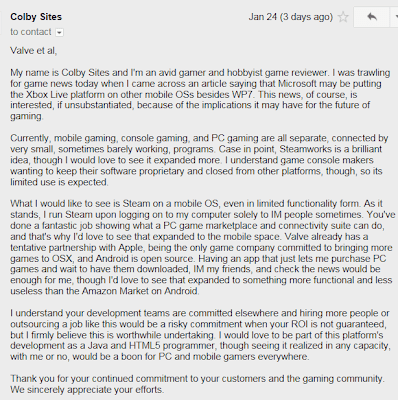 This letter is real and though he did shamelessly plug his programming skills in an attempt to seduce Valve into part-time work, his pleas pierced the void and in a record setting three days, Valve produced an iOS and Android app. Sincerely though, this app has the potential to be a game changer and I could not be more excited. I am most assuredly a Steam fanboy, but I see very few reasons to not be. The coming years should be terribly interesting for the gaming community. Microsoft Points. When did console companies decide it was a good idea to institute points instead of currency? Sure, the system is country agnostic, allowing for easier payment calculation on the company's side and allows for incremental charging, assuring that the consumer always has points leftover to encourage more spending. But the downside is that gamers have to go that one extra step and my word do we hate one extra step. According to Inside Mobile Apps, the Xbox maker will be abandoning the points system in favor of actual currency. This news is only coming from one source that I personally have never heard of, so the credibility of the news is questionable, but I sincerely hope it is true. I am tired of having just 50 points left in my account with nothing to buy. Just take the money I give you and be happy! The same source is also reporting that Microsoft is looking to bring its Xbox Live platform for Windows Phone 7 to other mobile OS devices. A source hinted at this to the website, though this is substantiated through a job posting found by liveside earlier this year. The job requisite has since been removed, presumably because the position has been filled, but it certainly does make things interesting. If Microsoft is able to effectively bridge the gap between console and mobile gaming, this could add to their already daunting power in the games market. Do you hear that, Valve? You'd better start putting Steam on mobile OSs and expand your console powers, or big bad Steve Ballmer's gonna getcha! Cube World is an indie game still in development, though it looks promising. The visual style is reminiscent of Minecraft or 3D Dot Heroes, but something about it sets it apart. I cannot really saywhether the brighter colors, smoother textures, or higher framerate make me want to play this more than other Minecraft-esque games. Perhaps it is the addition of quests, as shown in the latest gameplay video below. Though the quests are decidedly MMO-esque in their tired "Help me and kill X amount of Ys" formula, but the developer promises more quests as the game is further developed. To keep track of this games development, visit their website often. I know I will as this certainly looks like something I'd sink tens of hours into. Ever wanted to see arguably the most suave, effective assassin of all time be made to look like a punk scrub? Look no further than this Soul Calibur V gameplay video showing the various ways in which Ezio can be beaten to the ground. At least his Italian exclamations are interesting. Remember the tale of the boy who cried wolf? He kept fooling people into thinking wolves were on the attack and laughed about it when the townspeople came running, except they stopped responding when the wolves actually came. That experience is nearly identical to being a Sonic fan in the past eight or so years. 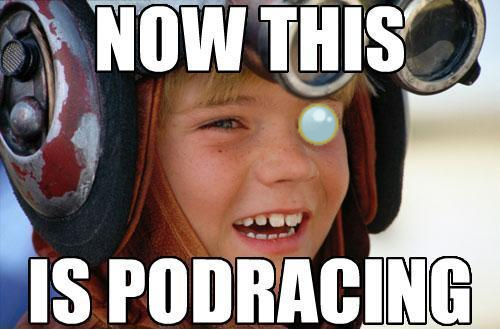 Just when Sega and Sonic Team promise you a great new Sonic game to rekindle your love for the Blue Blur, they manage to ruin it with some sort of gimmick. As an avid Sonic fan myself, I was understandably wary when I heard the announcement of Sonic Generations, but had my mind opened a bit after playing the demo at Comic Con. 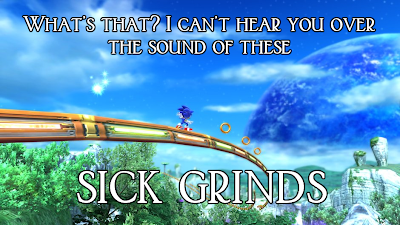 Was I right to get my hopes up yet again for a fun Sonic game, or has Sega ascended to new levels of heart-breakery? 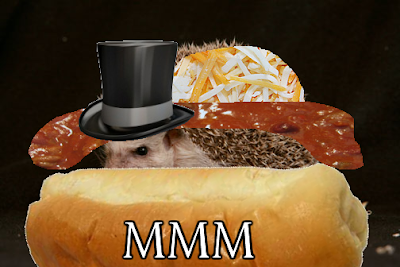 Sonic Generations is about Modern Sonic and Classic Sonic teaming up to take down a monster ripping holes in time. By running fast through levels from all eras of Sonic, you repair time and save your friends from limbo. Yes, I agree, the story sounds like an awful fanfiction, but I’ve never really played Sonic for the story. I’ll admit I enjoyed the story of the first two Sonic Adventure titles, but looking back on those games, I believe the gameplay distracted me from thinking too hard about the story. Looking back on cutscenes from either of the games reveals an absurd level of camp that I never really noticed before. I suppose I was always enthralled enough by the game’s wild use of speed and mechanics to pay much attention to the things it did wrong, like the plot. By having less than stellar story, Sonic Team is banking on the gameplay being fun and interesting enough to keep a player motivated to play. Though the story-telling is lackluster, it seems the development team’s time was spent perfecting the gameplay mechanics. Simply put, I’ve never played a more fun Sonic game. For Modern Sonic, Generations manages to capture the best parts about each of the recent titles and smash them all together to create the smoothest Sonic experience of all time. My favorite Modern Sonic feature is the Boost mechanism; it simply feels incredible. When boosting, all the bass is drained from the sound effects and the visuals blur in such a way that you actually feel the speed difference, something I’ve noticed a distinct lack of in recent titles. 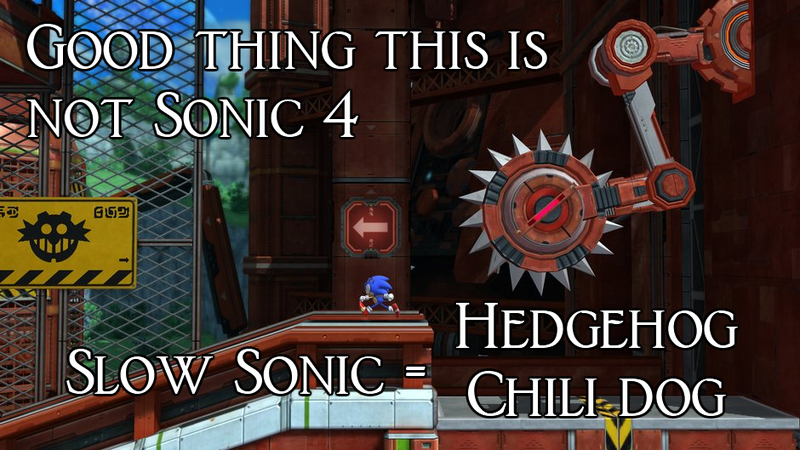 Other favorite Modern Sonic moves –homing attack, grinding, etc.—have all made a return as well. The amalgamation of these features and move sets make Modern Sonic my personal favorite. But what if you are a Classic Sonic gamer? Your love of 2D sidescrolling, fast reactions, and classic levels are kept intact. I can identify with you, as I was ready for a Sonic title fitting that description with Sonic 4, but the feel was simply off. 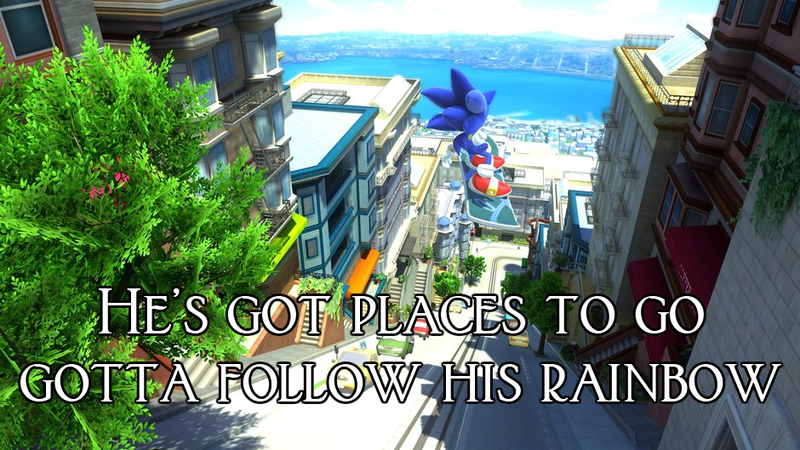 Sonic felt positively slow, and that frustrated me. Classic Sonic’s speed feels spot on in this game, and classic levels make you feel right at home. Another thing I love is the fresh take on past levels and music in this game. 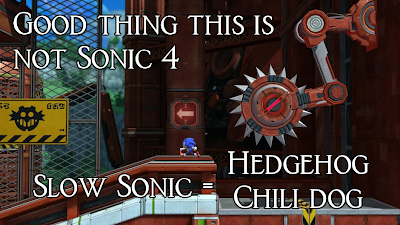 Obviously, to include levels from both generations of Sonic, some levels had to be adapted either to Classic or Modern play style. 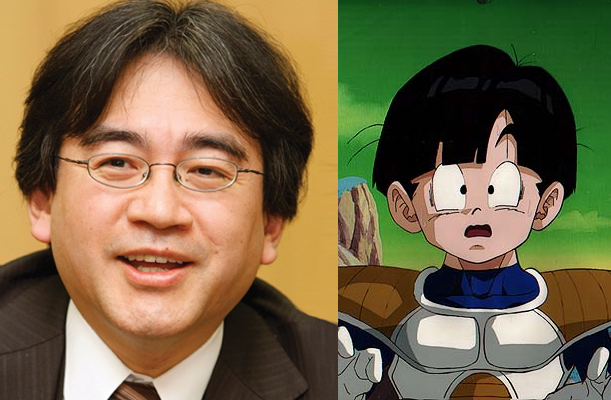 In both cases, the transitions are great, and each level even has its own take on the music. These changes are aided greatly by the gorgeous visuals. 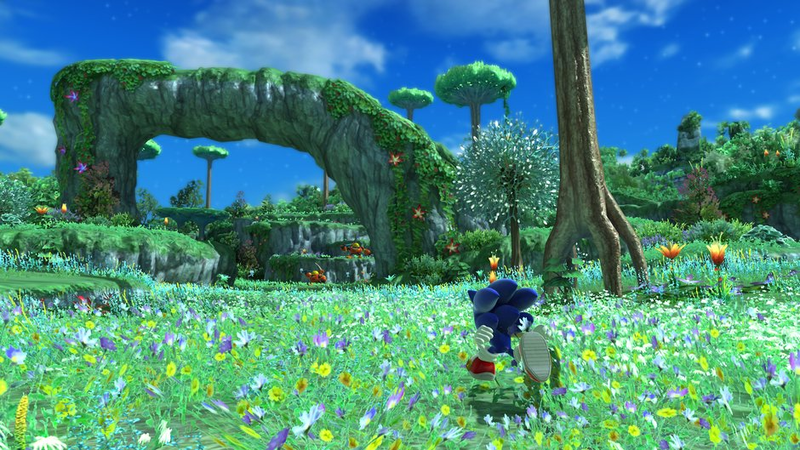 Nary a more beautiful Sonic game has been seen to date. Even if you buy it on console, it’s worth watching some of the 1080p quality videos on Youtube. 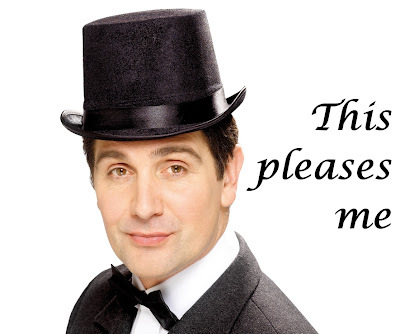 Who wouldn’t want to see this in glorious high definition? The only bad aspect I can point out is the minigames which you are required to play in order to gain access to the boss of each section. These short distractions are mildly annoying, and that fact is only amplified by the fact that playing some of them is mandatory. If you get bored of playing through the main story, those games should have been available, not compulsory. A few of the minigame types are enjoyable, but the minigames are annoying on the whole, and can be described as filler at best. 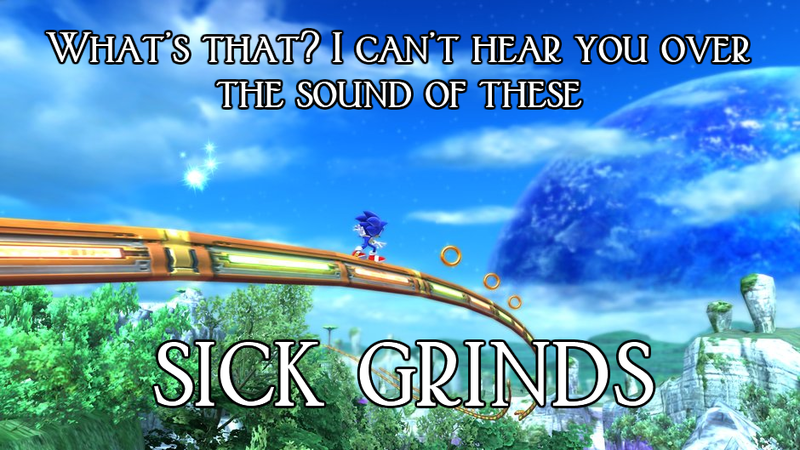 Oh, and the “Confirm” noise definitely sounds like a siren, making me think “Cancel.” Odd choice of sound there, Sega. Sonic Generations is the most fun Sonic game I’ve played in at least five years. Is that saying much? No, not really, but that detracts not from the fact that it’s an enjoyable game. I would recommend you at least rent the game, if not buy it. I will agree that it’s short and some parts of it feel like unnecessary filler, but the gameplay is fluid and fun, the visuals are gorgeous, and it maintains a perfect balance between nostalgia and new experiences. If only Sega had been releasing games like this all along, Sonic may not have been forced to do Progressive commercials. J. and the Colonel take aim at the two most anticipated shooters of 2011, Battlefield 3 and Modern Warfare 3. Which game out on top in this warfare slugfest? The Resident Evil series has made a bit of a comeback in recent years, not unlike Call of Duty, but in the survival-horror genre. Resident Evil 4 rejuvinated the series and gamers have been clamoring for new installments ever since. Capcom is wont to disappoint gamers, however they have announced exactly what fans have been asking for--Resident Evil 6. The new game stars Leon Kennedy and Chris Redfield, my least favorite of the two. It seems to harken back to Resident Evil 2 with its urban settings, albeit with the modern RE gameplay style. With as many updates as the series has seen in recent years to make it more like other modern shooters, can it even really be called survival horror anymore? RE6 looks more like an action game to this game reviewer; a Gears of War with zombies if you will. Just look at the Resident Evil 6 trailer and try and tell me it has the same feel as Resident Evil: Code Veronica. I am not saying this is a bad thing, simply that the series is evolving and moving into a more action-based genre. If you are looking forward to satisfy your zombie massacre appetite, then you shall wait no longer than November 20th of this year. The game releases globally on Xbox 360 and PS3. Irrational Games has announced a more grave difficulty mode in their upcoming shooter Bioshock Infinite. In 1999 mode, not only has the difficulty been dialed up, but decisions the player makes have irreversable consequences. The new mode promises fewer resources, higher specialization, and an emphasis on critical thinking thinking for your combat patterns. Let me make positive I am clear on this. A mode to harken back to the days of old? One that guarantees my decisions matter and I must be not only a quick draw, but an accurate one? The Elder Scrolls V: Skyrim lacks in an immersive storyline for the large scale game that it is. Characters are predictable and the dual-plotlines of the main story aren't chuck-full of depth. You're destined to stop the armageddon dragons while helping to subdue or enforce a native rebellion against the Empire. Granted that all sounds pretty fantastic, it's really straightforward for the most part. Other than occasional glitches that are already becoming (if not already completely) fixed, I do believe that about sums up the majority of any flaws I've ever experienced in the game. Now here's the God's honest truth about Skyrim: it is an absolute MASTERPIECE. The sheer scale of this game is absolutely breathtaking. I've been a fan of sandbox style games for quite awhile now and I was still floored by this particular entry. In fact, one of my fondest gaming memories involves The Elder Scrolls IV: Oblivion. When I first started college, I was introduced to this game by one of my closest friends and I was astounded by it. The many choices in character building and combat style, whether it be melee or magic, seemed endless. I can't remember how many hours or different characters I made with that game and I don't regret a minute I spent playing and continued to play throughout college. In fact, I was finishing my character Prof. Slaughter McDeathkill when Skyrim was released. For years I had been waiting for this sequel! The moment I first saw the opening scene in the carriage with Ulfric and Random Maybe Bad Guy, I felt chills run down my spine and a single tear developing in my eye. Yes, a tear, I have no problem whatsoever admitting this! IT WAS EMOTIONAL OK?! Now the rest of this review is going to be done a little different. Instead of breaking down the game into categories such as characters, combat, etc., I'd rather give a more personal account of this game and will do so in several parts based on the main styles of character you can design; heavy charging melee, stealth assassin thief, combined magic and melee weapons, and pure magic wizardry. With each specific style I've mentioned above, I'm going to create a new character and play through the game up to about level 35-40 in order to gain a unique and thorough perspective of the styles. Starting the game (and for the sake of the length in this review) I decided to go with probably the more basic and easiest to learn style of heavy armor Arnie Schwarzenegger-like man named AUUAUAUGHGHUAUGH. Now although I said this was basic, this in no way meant this style was less fun than another. In fact, it's my 2nd favorite style because of how involved you are with your quests. Plus it allowed me to get used to the new perk system and combat engine without feeling like I wasted precious perk points or money on armor. I'm huge, I'm strong, I wield a warhammer and wear the heaviest armor imaginable. The very beginning of the game proved to be a bit challenging only because the above mentioned armor and weaponry isn't cheap to come by and since I had just started, I kind of needed them to complete quests. What's a lonely AUUAUAUGHGHUAUGH to do? RUN THROUGH THE CLOSEST DUNGEON AND PUNCH EVERYTHING TO DEATH. Which, might I add, is when I learned of the kill animations you sometimes earn against enemies. 20 minutes into the game and I've already grabbed a bandit on the back of the head and punched him repeatedly in the face before letting his lifeless body drop to the ground. Satisfaction defined. Following the face smashes I looted my well earned treasure, sold every bit of it, and armed myself to the TEETH. From here on it became pretty straight forward. I accept quests, I smash people with my hammer, put all my perks in heavy armor to upgrade its effectiveness, two-handed for making my hammer a force to be reckoned with, and archery for the knees of men I feel need to slow down their adventuring days. This strategy certainly made for nerve racking moments in my fights. Even with amazing armor and weapons, I felt my heart pound in every battle simply because of the mass confusion that surrounded me. In one cave, I could bring down a battalion of 6 bandits at once, yet in another it only takes 2 mages to send my body rag-dolling against the wall with ice missiles protruding from the body. What does this tell me? Mages also need to have their knees cappedby arrows before they disintegrate my body. Simple strategy and easy to figure out but still impressive when you think about the fact that this is just ONE of many strategies you can develop in the game. And yes, I am well aware of the exploit strategies too. Raise your Alchemy, Smithing, and Enchanting to 100. Brew an Enchanting enhancing potion, use your enhanced Enchanting to enchant more powerful clothes with Alchemy enhancements. Repeat as desired until you can create the ultimate of Smithing enhanced enchanted clothing and Smithing enhanced potions. Upgrade weapons using both and you can have a dagger that does 300+ damage. CONGRATULATIONS! YOU'VE BROKEN THE GAME! Sure this is fun and incredibly clever, but it also takes away the challenge of the game for me. I find more satisfaction in seeing AUUAUAUGHGHUAUGH smash his hammer of might onto the head of a degenerate thief by using his own legit skill and strength, not through an exploit. Before I knew it I was level 37 and a rival to Thor. And I haven't even done most of the main quest! This is seriously ALL based on side quests and random exploration. I didn't want to experience the full depth of the storyline until I had a firm grasp of this game. Yes people, it's that intense and involved! According to EA over the holidays, Star Wars: The Old Republic just became the fastest growing subscription-based MMO in history. Over one million players have logged over sixty million hours and killed over three billion NPCs in just around three weeks. This news comes as a relief to Star Wars fans as the last MMO in that universe ended miserably, with a largely disgruntled and scorned fanbase. Hopefully the good chaps at Bioware will keep the pleasant times rolling with updated content and user feedback.